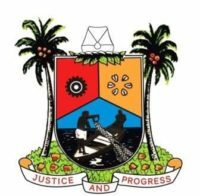 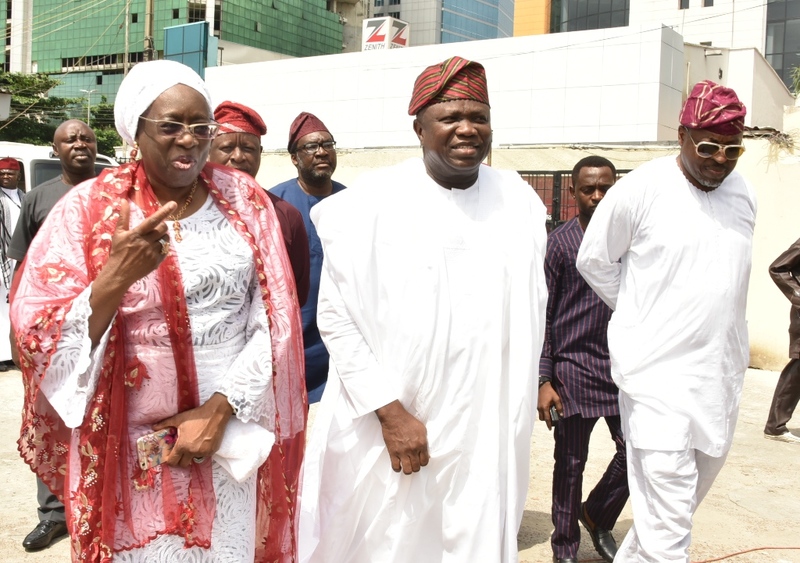 Lagos State Governor, Mr. Akinwunmi Ambode (middle), with late Pa Fasinro’s children, Hon. 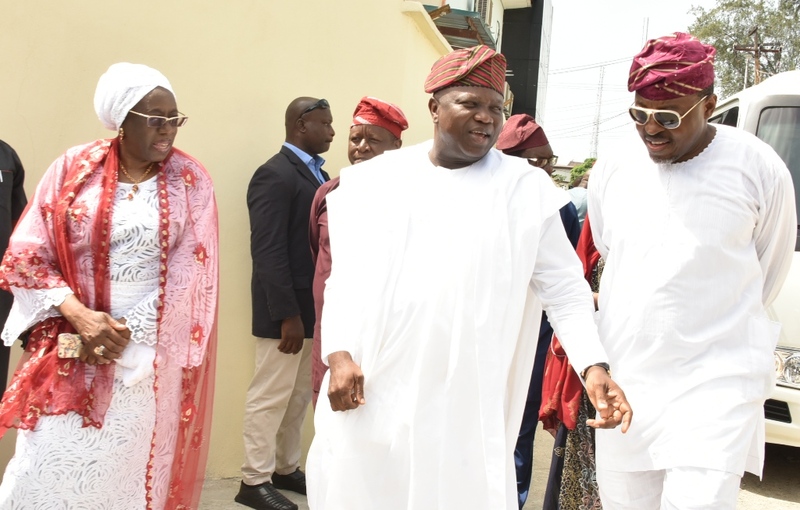 Habeeb Fasinro (right) and Justice Kudirat Kekere-Ekun (left) during the Governor’s condolence visit to the family at their Victoria Island residence, Lagos, on Monday, April 1, 2019. 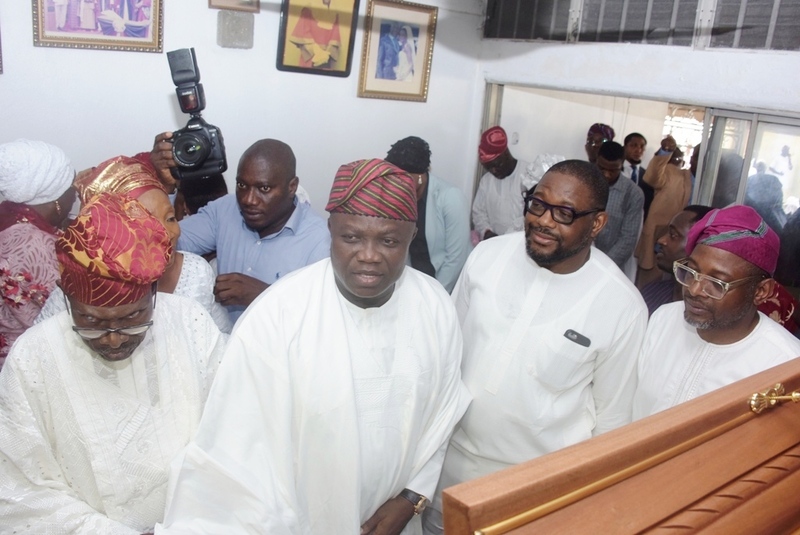 Lagos State Governor, Mr. Akinwunmi Ambode (2nd left), with late Pa Fasinro’s brother, Dr. Mohammed Salami (left); Sons of the deceased, Mr. Mustapha Fasinro (2nd right) and Mr. Moronfolu Fasinro (right) during the Governor’s condolence visit to the family at their Victoria Island residence, Lagos, on Monday, April 1, 2019.